So many things happened lately. In fact, too many emotions crumpled together all at once. Last week I was having one of the best times with my old friends from Soho (Ogilvy). We had dinner at Kashiwa, one of the best Japanese restaurant in Blok M area, in the same square with Daitokyo - but the queue is crazy. I ordered quite a lot at that time because I was really hungry so I had a cold soba and a lot of grilled skewers. Ugh, so good. I met with my former colleagues, whom I don't really prefer to be called as friends, I think the bond is more like cousins. We rarely meet, I rarely reply their group chats, but once we are together, we couldn't stop laughing. They all are older than me, to call them friends is an understatement. While we were having dinner, I received a screenshot text from a friend telling that there was a bomb exploded near to my old house. I was pretty worried at that time and immediately checked my parents, my sister and my closest friends. Last year another bomb exploded at Thamrin area and I wasn't as scared as this time. I don't know, maybe because it exploded at an area that is really familiar to me. It's an area that I used to pass every day to get to my house. It's very close, not even 1 km far. I moved a year ago to a new house with my mom and I really thank God for that. The social atmosphere in Jakarta hasn't got any better, well maybe a tiny bit, after the governor election last month. It feels like everyone has an agenda and everything doesn't feel the same anymore. And this thing happened. It feels so chaos and I choose to stay away from the online world quite a lot and also physically. I chose to stay at home or at my Mom's house, because that's where I feel safe the most. 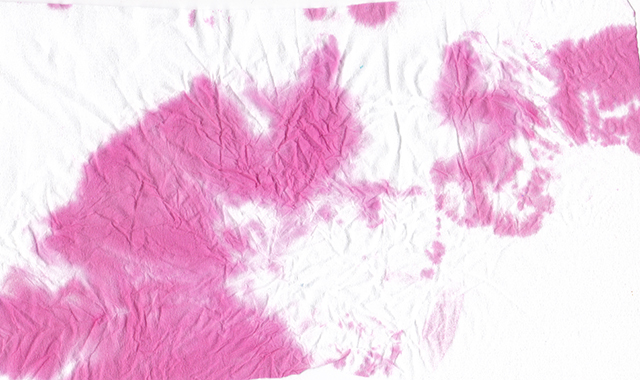 that pink stain is actually juices from dragon fruit that spilled onto my white desk. 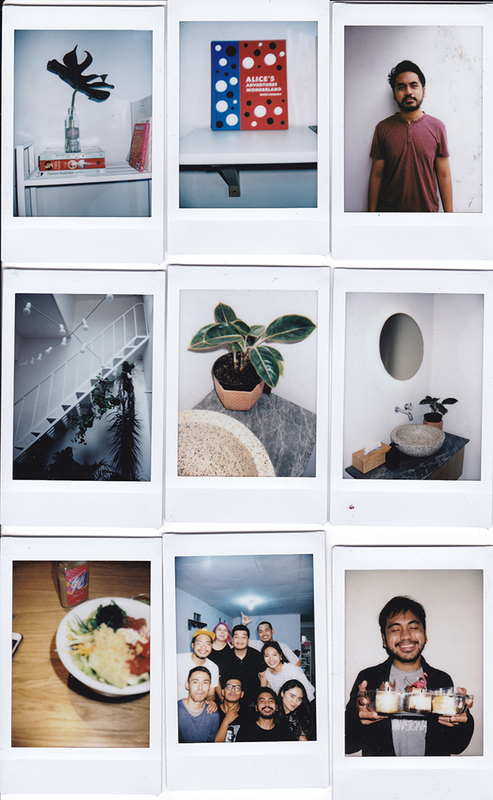 These Instax below features a few different events from my recent daily happenings. Our newly installed floating desk from Ikea, which now is a perfect display for my books. 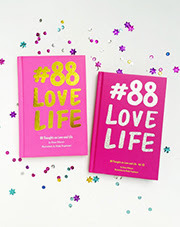 My Alice's book (Yayoi Kusama) that I haven't finished yet. An Instax of my hubby looking messily handsome (I love man with beard and now I married one, ha!). Honu, a newly Poké bar in Kemang - an area that I love & hate the most. I tried their Two & Two poke bowl and boy, I have to go back there soon because they're so good. that I used to wear to the office back in 2012. 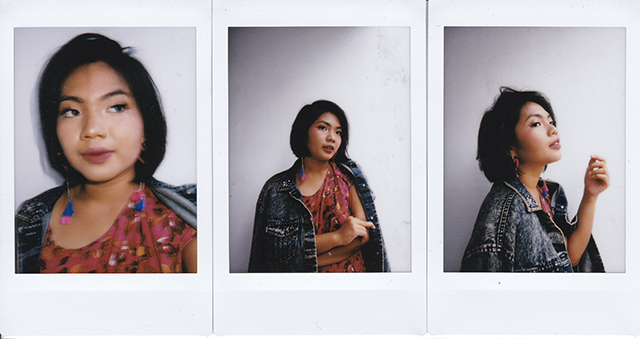 And an old denim jacket. These squared Instax are dream came truuuu. 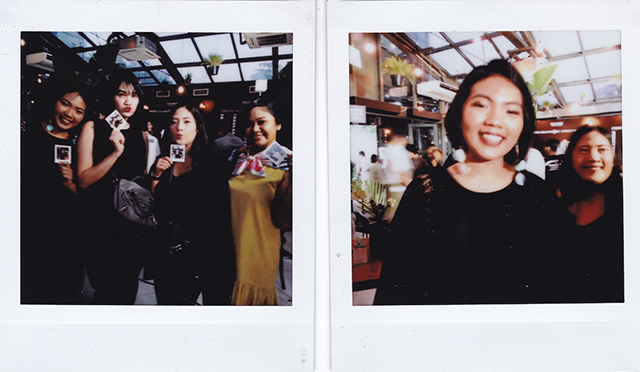 Fujifilm invited me to their Instax SQ10 event a couple of weeks ago and I ended up wanting their new squared Instax really bad on my way home from the event. The Instax SQ10 camera has a screen on it so we can see the pictures before we decide to print it into a square Instax. 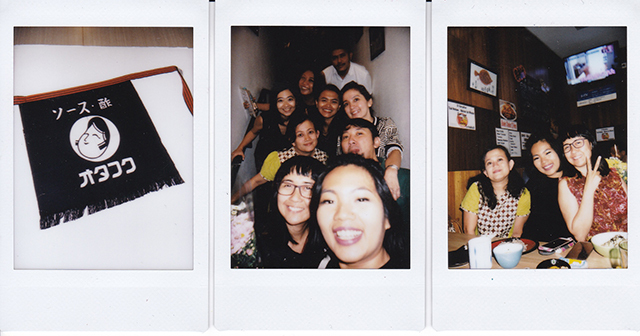 Crazy, I know, they're like violating the unwritten rules of Instax - BUT I LOVE IT hahaha. And a squared Instax? Count me in.